“When you see a swarm of honeybees swarming around the city, who you gonna call? 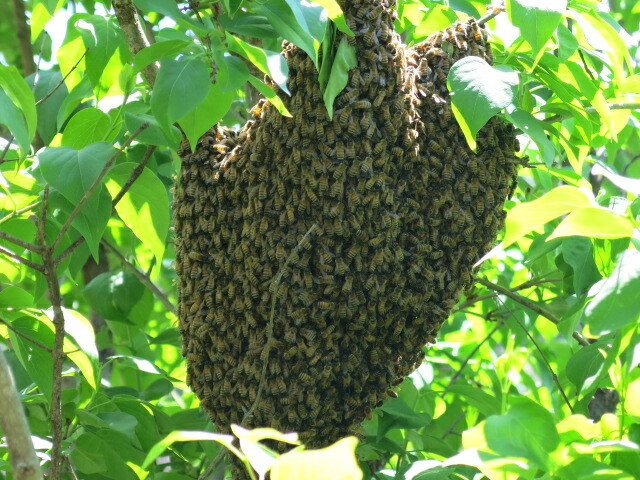 We talked about this in April withIf You See a Bee Swarm Don’t Panic, It’s a Good Thing – Call (202) 255 4318 for Help by DC Beekeepers. And saw them in action at the Newark Street Community Garden. Tammdoor My young adult life is now retro kitch. I feel old.